Overview: 81.42.W envisions the bridge as a practical connector, spontaneous entertainer, and spectacular host. The enclosed addition created in the central steel span gently rests between the charismatic concrete structure. 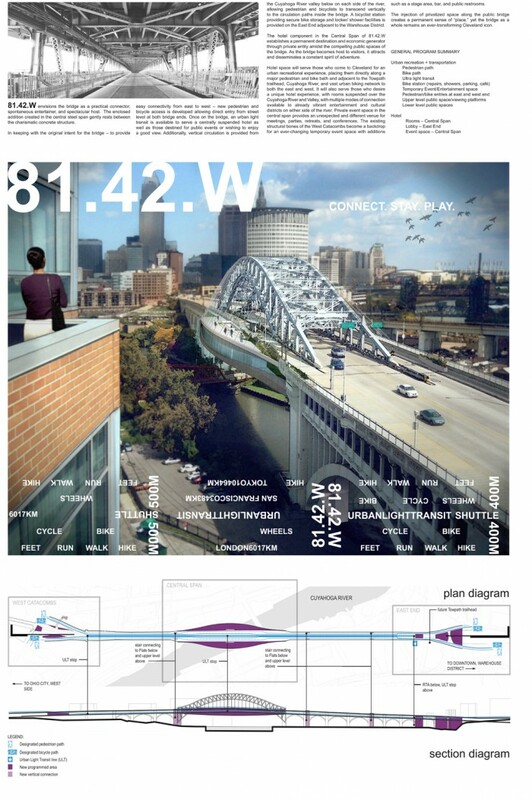 In keeping with the original intent for the bridge – providing easy connectivity from east to west – new pedestrian and bicycle access is developed allowing direct entry from street level at both bridge ends. An urban light transit also assists movement across the bridge. Vertical circulation is provided from the Cuyahoga River valley below on each side of the river and to the newly created public space above on the bridge’s upper deck. A bicyclist station provides secure bike storage and locker/ shower facilities on the east end adjacent to the Warehouse District. 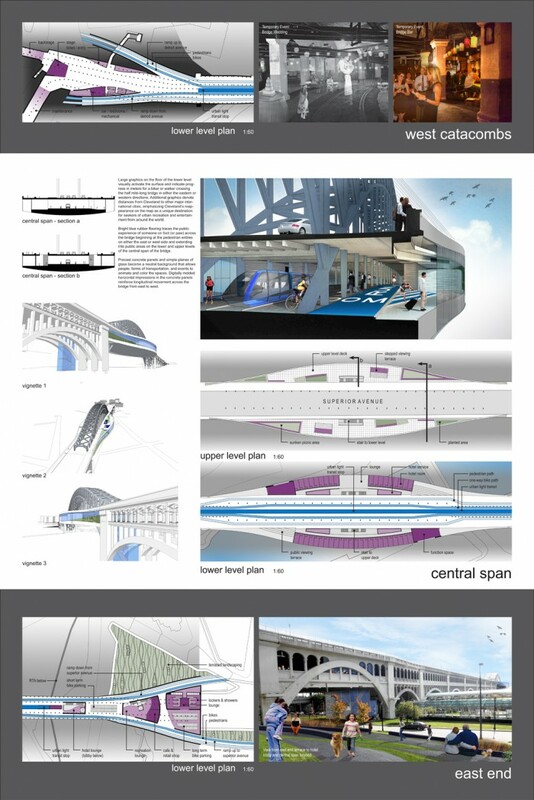 The hotel component of 81.42.W (longitudinal coordinates) establishes a permanent destination and economic generator [through private entity] amidst the compelling public spaces of the bridge. Event space both in the central span and in the preserved west catacombs provides an unexpected and different venue for meetings, parties, spontaneity, and conferences. 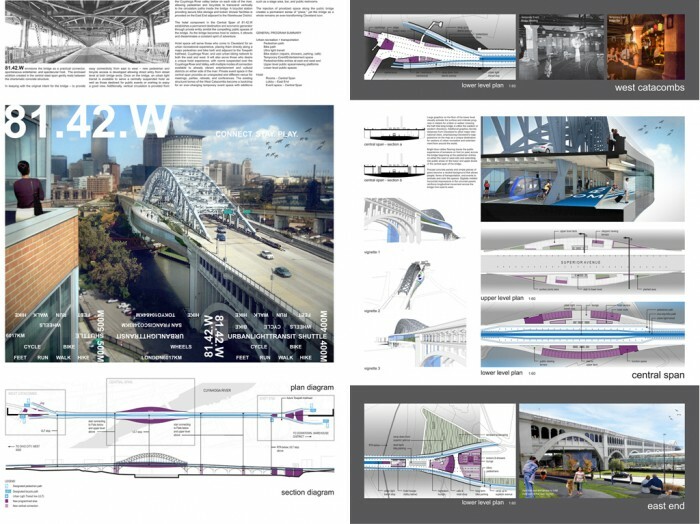 The injection of privatized space along the public bridge creates a permanent sense of “place,” yet the bridge as a whole remains an ever-transforming Cleveland icon.